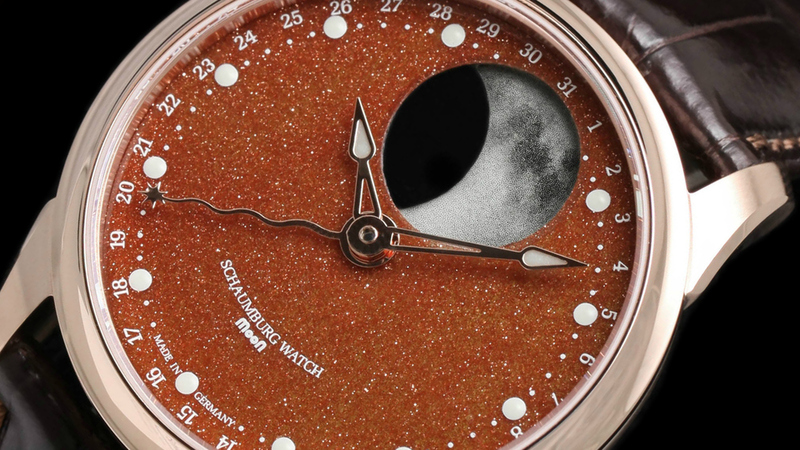 Schaumburg Watch MooN Galaxy featuring copper goldstone dial with luminescent photo-realistic moon phase, in 18Kt rose gold case with transparent caseback on leather strap with folding clasp from Chronolux Fine Watches, Authorised Dealer for Schaumburg Watch. 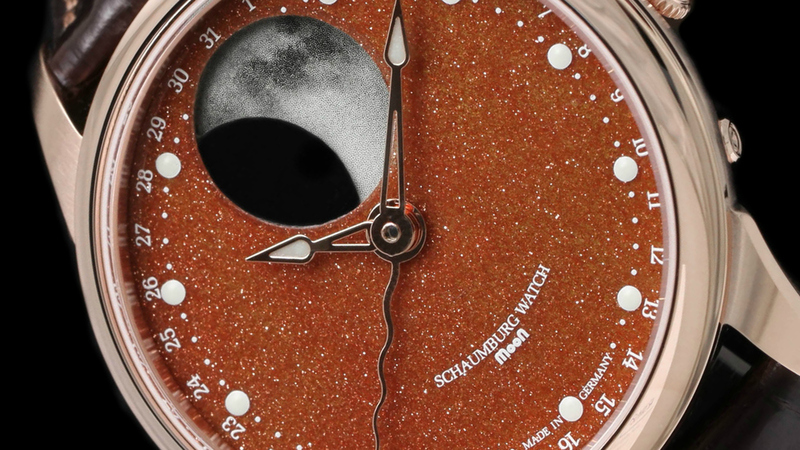 The Schaumburg Watch MooN Galaxy in 18Kt rose gold features an extraordinary and very beautiful rich copper goldstone dial, a shimmering glass-like material which is liquefied at heat before being applied by hand, and which provides a perfect backdrop for one of the most captivating luminescent photo-realistic moon phase displays in production. 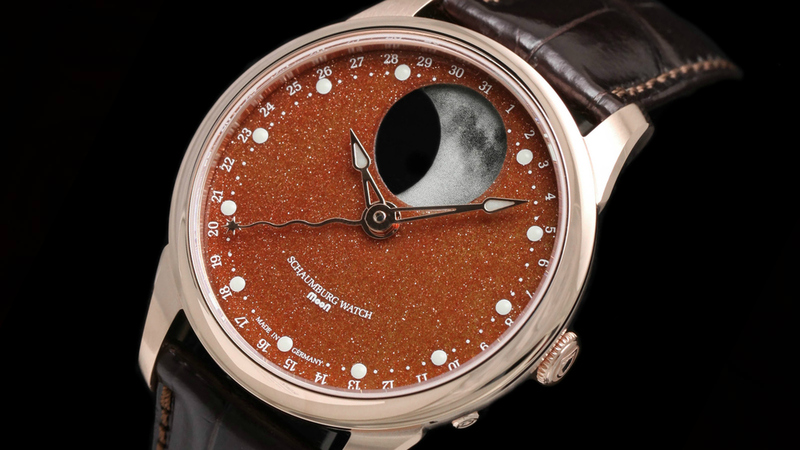 Chronolux Fine Watches are delighted to offer as Authorised Dealers and brand new in box, the spellbinding Schaumburg Watch MooN Galaxy mens automatic watch presented for the first time in 18Kt rose gold. 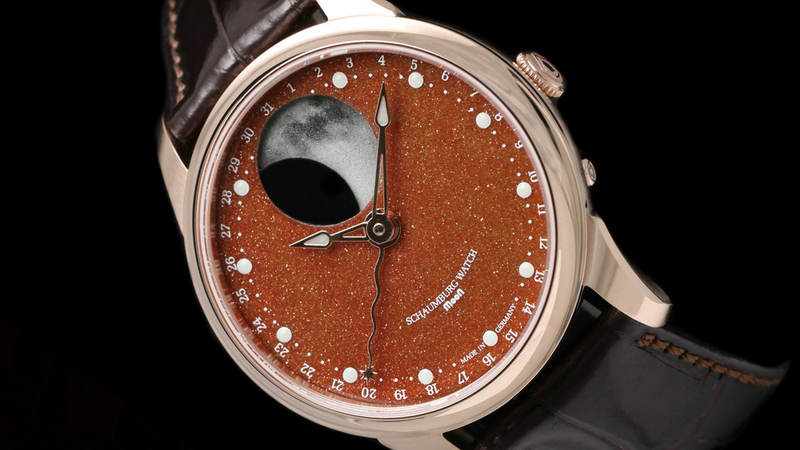 Luminous tipped gold hands and applied luminous hour markers make for excellent low light legibility and a star on a wavy tail indicates the date around the edge of the dial. 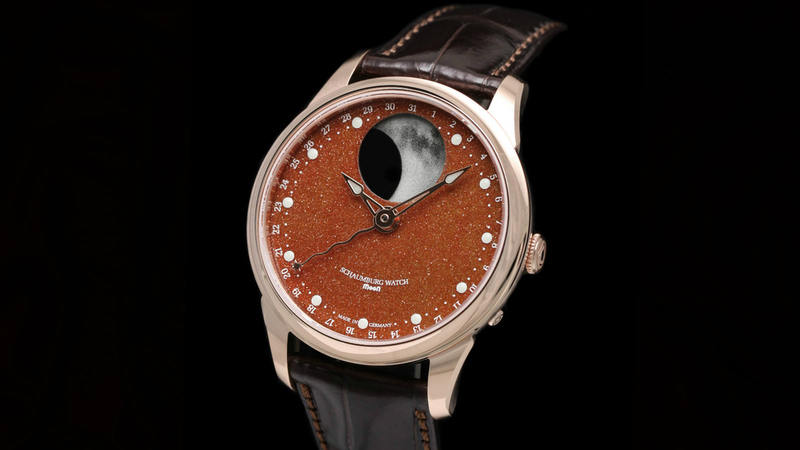 It is presented in an 18Kt rose gold case with polished bezel, a neatly concealed push-in crown and featuring a transparent exhibition caseback, on a finest leather strap with folding deployant clasp.